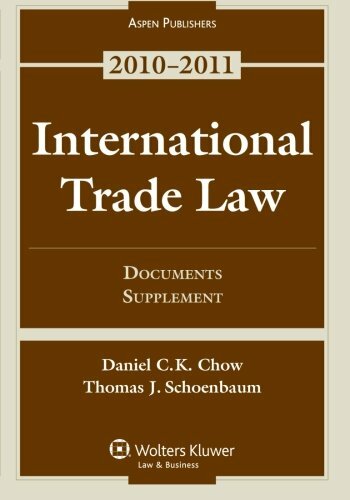 9789041125279 | 4 revised edition (Kluwer Law Intl, May 1, 2012), cover price $263.00 | About this edition: Anyone involved in trade law knows the time-consuming nature of obtaining primary source material and consulting each of the main trade laws. 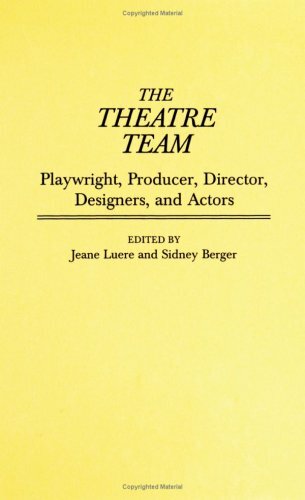 9780387946924 | 3rd edition (Springer Verlag, December 1, 1996), cover price $160.00 | About this edition: Successful theatrical productions are a team effort and require the close cooperation of the playwright, producer, director, designers, and actors. 9780387969770 | 2nd edition (Springer Verlag, February 1, 1990), cover price $110.00 | also contains International Economic Law After the Global Crisis: A Tale of Fragmented Disciplines | About this edition: Reorganized into a single, tightly focused volume, the new edition of Geriatric Medicine offers practical, authoritative, and comprehensive coverage of the diseases, common problems, and medical care of older persons. 9780415242660 | Routledge, July 1, 2001, cover price $1915.00 | About this edition: These volumes comprise the most extensive guide to past and current research on the topic of consumption ever created. This collection of specialist essays discusses 40 issues at the cutting edge of international trade law. Leading academics and practitioners examine the major issues in international trade law, including e-commerce, insolvency and intellectual property. 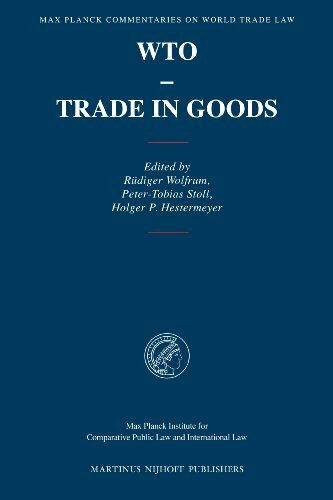 9780421741003 | Sweet & Maxwell Ltd, July 12, 2001, cover price $74.00 | About this edition: This collection of specialist essays discusses 40 issues at the cutting edge of international trade law. Filling the void for an international business law reference designed for those with little or no legal background, A Tour of Law for Global Commerce provides an understandable introduction to the basics of what an international business person needs to know in order to function in the international legal environmentâincluding cultural and historical perspectives that affect how laws are applied, how international business disputes are resolved, advertising and marketing regulations and major trading agreements in forceâ and succeed in the real world of international business. 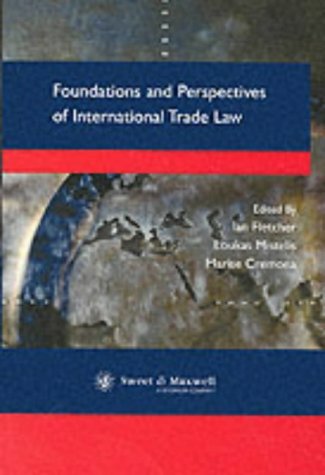 The reference provides a complete overview of the legal systems of the world, economic integration, the law of the oceans and airspace, the laws of customs and immigration, advertising regulations around the world, as well as a panorama of treaties affecting international commerce and a guidebook to international business transactions. For those employed in a job with an international dimension. 9780130408730 | Prentice Hall, October 1, 2001, cover price $50.40 | About this edition: Filling the void for an international business law reference designed for those with little or no legal background, A Tour of Law for Global Commerce provides an understandable introduction to the basics of what an international business person needs to know in order to function in the international legal environmentâincluding cultural and historical perspectives that affect how laws are applied, how international business disputes are resolved, advertising and marketing regulations and major trading agreements in forceâ and succeed in the real world of international business. 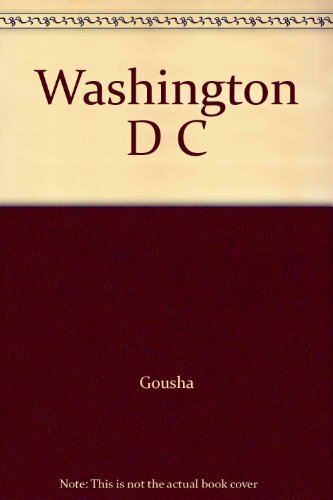 9780415219532 | Routledge, May 1, 2002, cover price $55.01 | also contains Love and Sacrifice: A Story from the Heart of America | About this edition: Looks at scientific developments in Europe during the eighteenth- and nineteenth-centuries. 9780415219549 | Routledge, May 1, 2002, cover price $55.01 | also contains Advanced Introduction to International Trade Law | About this edition: Looks at scientific developments in Europe during the eighteenth- and nineteenth-centuries. 9780415219556 | Routledge, May 1, 2002, cover price $55.01 | also contains Video Games: Design and Code Your Own Adventure | About this edition: Looks at scientific developments in Europe during the eighteenth- and nineteenth-centuries. 9780415219563 | Routledge, May 1, 2002, cover price $55.01 | also contains Video Games: Design and Code Your Own Adventure | About this edition: Looks at scientific developments in Europe during the eighteenth- and nineteenth-centuries. 9780415282604 | Routledge, May 1, 2002, cover price $55.01 | also contains Breaking Cycles of Repetition: A Global Dialogue on Historical Trauma and Memory | About this edition: Looks at scientific developments in Europe during the eighteenth- and nineteenth-centuries. 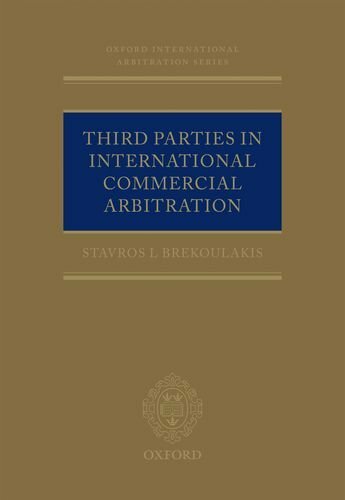 This text presents summaries and extracts from, and analysis of, the main cases and other materials on international sale contracts. The book concentrates especially on CIF (costs, insurance, freight) and FOB (free on board) contracts, and variations thereon. 9780421827103 | Sweet & Maxwell Ltd, December 19, 2002, cover price $74.00 | About this edition: This text presents summaries and extracts from, and analysis of, the main cases and other materials on international sale contracts. 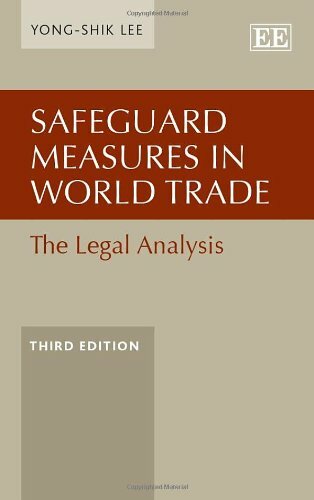 9781781956069 | Edward Elgar Pub, April 28, 2014, cover price $150.00 | About this edition: Safeguard Measures in World Trade tackles the controversial issue of restrictions on imports. 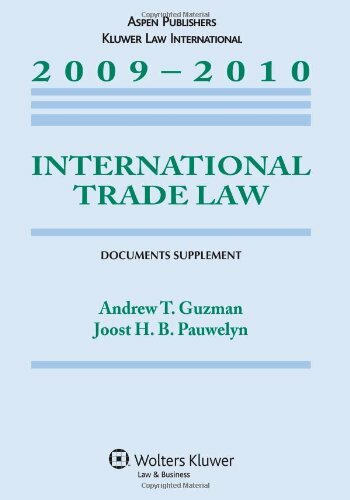 9789041123763 | 2 edition (Kluwer Law Intl, April 1, 2005), cover price $272.00 | About this edition: Among restrictions on imports, safeguard measures are particularly controversial in that they are invoked in the absence of any unfair trade practice. 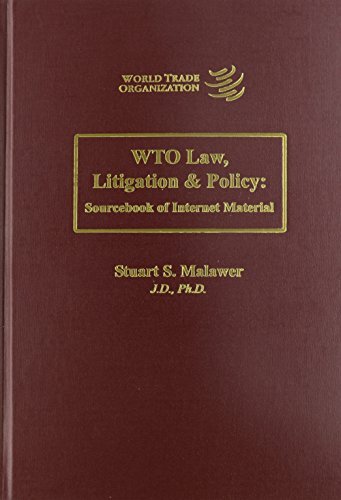 9789041199119 | Kluwer Law Intl, April 1, 2003, cover price $95.00 | About this edition: Among restrictions on imports, safeguard measures are particularly controversial in that they are invoked in the absence of any unfair trade practice. 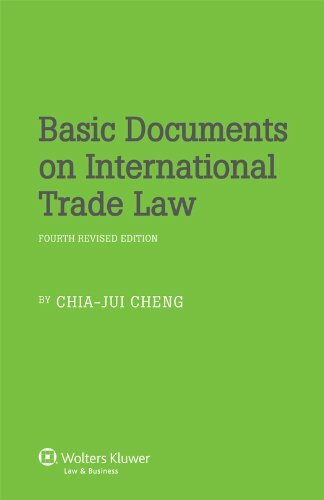 9789041126184 | 2 edition (Kluwer Law Intl, April 11, 2007), cover price $120.00 | About this edition: Among restrictions on imports, safeguard measures are particularly controversial in that they are invoked in the absence of any unfair trade practice. 9780199268924 | Oxford Univ Pr on Demand, February 26, 2004, cover price $200.00 | About this edition: This volume is a unique study on the highly controversial issue of standard of review in WTO dispute resolution. 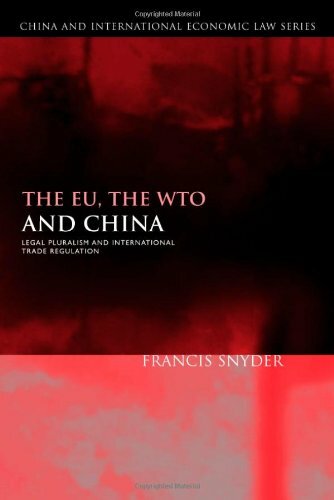 9781841137049 | Hart Pub, September 2, 2010, cover price $180.00 | About this edition: This book analyzes a series of integrated studies of relations between the EU, the WTO, and China. 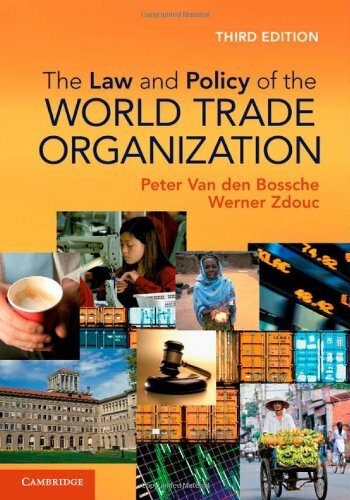 9781107024496, titled "The Law and Policy of the World Trade Organization: Text, Cases and Materials" | 3 edition (Cambridge Univ Pr, August 31, 2013), cover price $165.00 | About this edition: Since its first edition, this textbook has been the first choice of teachers and students alike, due to its clear introduction to the basic principles of the multilateral trading system and its detailed examination of the law of the World Trade Organization. 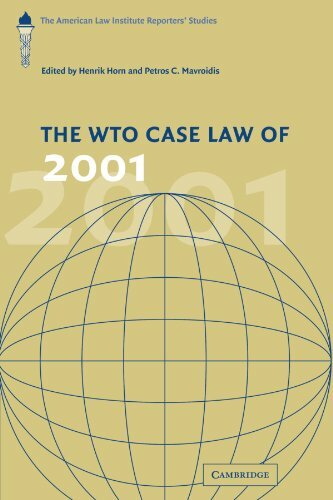 9780521898904, titled "The Law and Policy of the World Trade Organization: Text, Cases and Materials" | 2 edition (Cambridge Univ Pr, September 30, 2008), cover price $220.00 | About this edition: As the leading student text in the field, this title provides both a detailed examination of the law of the World Trade Organization and a clear introduction to the basic principles and underlying logic of the world trading system. 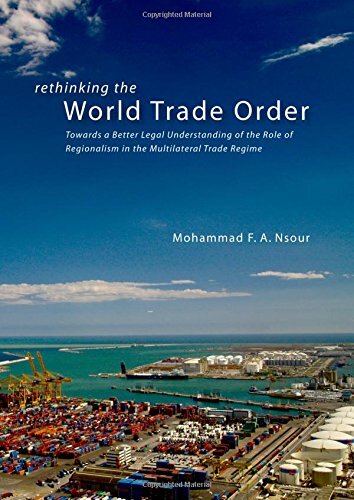 9780521727594, titled "The Law And Policy Of The World Trade Organization: Text, Cases and Materials" | 2 edition (Cambridge Univ Pr, September 30, 2008), cover price $99.00 | About this edition: As the leading student text in the field, this title provides both a detailed examination of the law of the World Trade Organization and a clear introduction to the basic principles and underlying logic of the world trading system. 9780735587762 | Aspen Law & Business, June 8, 2009, cover price $40.00 | About this edition: <p> Providing a range of material important to the study of <b>International Trade Law</b>, the <b>2009 DOCUMENTS SUPPLEMENT </b>complements <b>Guzman</b> and <b> Pauwelyn's</b> casebook on this subject. 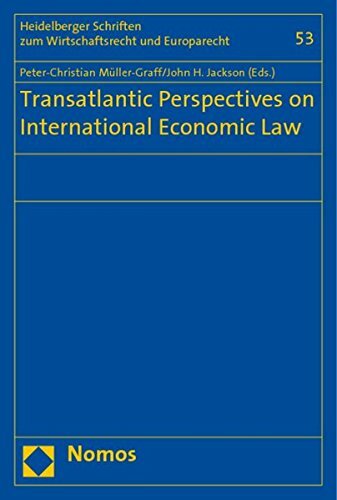 9783832944483 | Nomos Verlagsgesellschaft Mbh & Co, September 30, 2009, cover price $33.00 | About this edition: A transatlantic dialogue on varying perspectives on international economic law was the purpose of a round-table conference held at the University of Heidelberg in June 2007. 9789088900365 | David Brown Book Co, August 26, 2010, cover price $60.00 | About this edition: Regional Trade Agreements (RTAs) have proliferated at an unprecedented pace since the creation of the World Trade Organization (WTO). 9780199572083 | Oxford Univ Pr, February 11, 2011, cover price $265.00 | About this edition: The role of the third party has fast become a pervasive problem in the field of international arbitration, as parties not bound by an arbitration agreement are seen to be excluded from the process, even if they clearly maintain a legal or financial interest in a dispute between other persons who are bound by an arbitration clause. 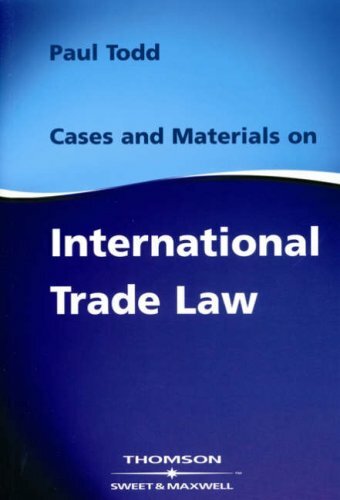 9780735597624 | Aspen Pub, July 29, 2010, cover price $54.00 | About this edition: p> The authors of International Trade Law: Problems, Cases, and Materials, have compiled World Trade Organization (WTO) agreements and U. 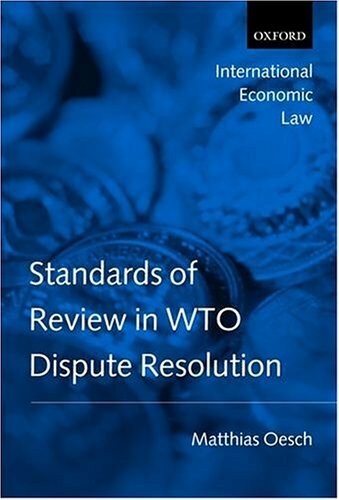 9780521188814 | 1 edition (Cambridge Univ Pr, March 3, 2011), cover price $69.99 | About this edition: The American Law Institute project on WTO Law undertakes yearly analysis of the case law from the adjudicating bodies of the WTO. 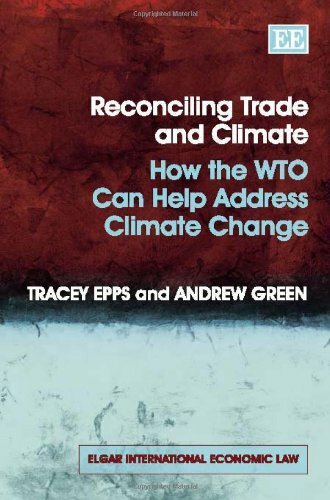 9781849800068 | Edward Elgar Pub, February 1, 2011, cover price $136.00 | About this edition: This timely book addresses the interaction between policies addressing climate change and the rules of the WTO.